USC’s Department of Stem Cell Biology and Regenerative Medicine offers multidisciplinary educational opportunities for undergraduate, master’s, PhD and medical students as well as professionals at all stages of their careers. The Eli and Edythe Broad Center for Regenerative Medicine and Stem Cell Research at USC hosts world-class scientists as well as shared facilities in imaging, therapeutic screening, flow cytometry and stem cell engineering. The USC Stem Cell initiative unites 100 research and clinical faculty members from disciplines across the university. These researchers collaborate to leverage the transformative power of stem cells to develop the therapies of the future. USC Stem Cell’s newest faculty member studies brain organoids. 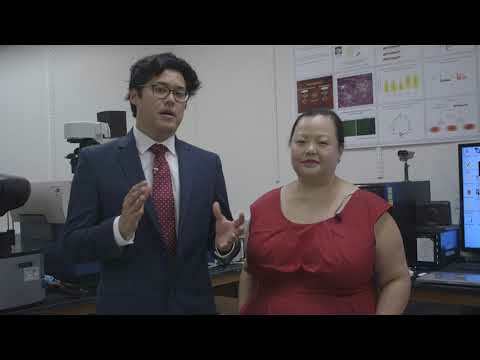 USC Stem Cell’s labs host undergraduates for hands-on stem cell research, and faculty teach courses through the Keck School of Medicine of USC and USC Dornsife College of Letters, Arts and Sciences. The one-year Master of Science program offers courses in cutting-edge biomedical science, including developmental biology, human embryology, regenerative medicine, and the translational and therapeutic aspects of stem cell technology. The program also provides practical hands-on laboratory experience with stem cells. The PhD program in Development, Stem Cells, and Regenerative Medicine trains the next generation of scientific investigators in the history and practice of developmental and stem cell biology. USC Stem Cell’s labs host medical students and fellows for hands-on stem cell research. USC Stem Cell’s labs are seeking highly motivated postdoctoral trainees.